Continuing with my attempt to share the rooms that I haven’t officially shared, today you get a look at the Dining Room. There is nothing special happening in the dining room right now. I have dressed it up for many seasons, Fall, Christmas, and Easter but on all those occasions you saw the dining room from the other angle. 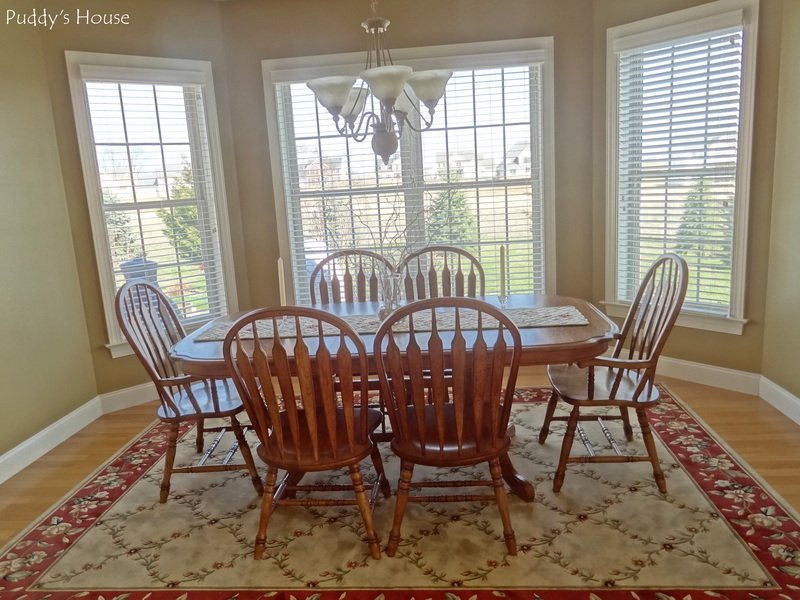 The reason was, our dining room is surrounded in windows and I was never able to get a good picture of it from the other direction….until now. 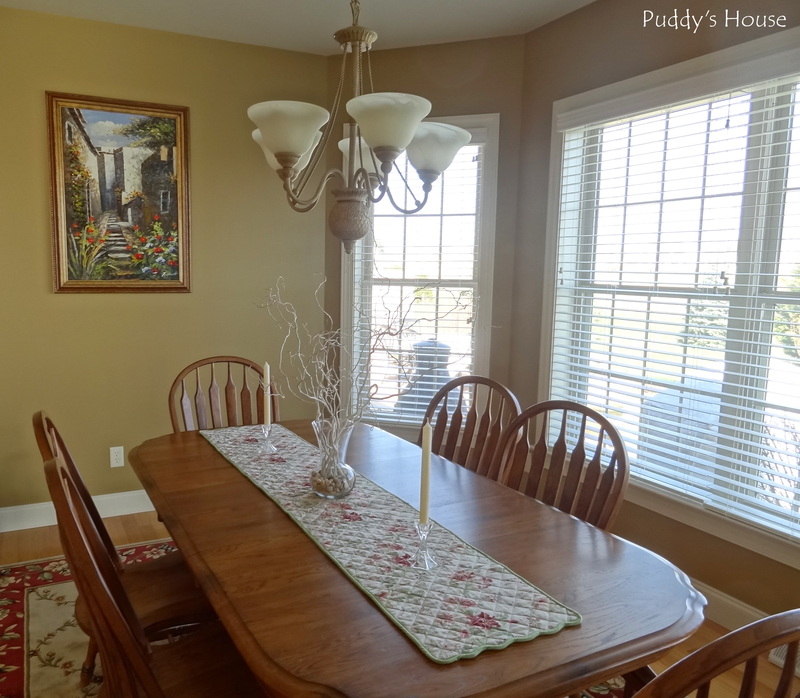 Our dining room is a feature of our home that I loved from the first time we set foot in our house. The house wasn’t done at that point, but I could picture myself standing in our kitchen and looking out those dining room windows at the beautiful view. I really had to lighten this picture up just to show you the features. So, how did I finally get a decent picture of our dining room?? When I was taking pictures of my craft room, I was struggling with the same problem. The windows were blowing out the picture when I took it from a certain angle. Instead of getting frustrated, I just started playing with the features on our cmera. We have a little point and shoot Sony Cybershot. All of the cameras we have owned are Sony’s so I am pretty familiar with the features, but with this camera Sony changed up the options. I found a “SCN” option of: “Backlight Correction HDR” with the description – Correct shadow detail and highlights to as it is. If you are better at photo editing than I am, you may want to try this solution for Fixing Blown out Windows on Censational Girl. Since I found the new to me feature on our camera, I went around the house taking pictures of other rooms I had struggled with before. I’ll share the other rooms later. 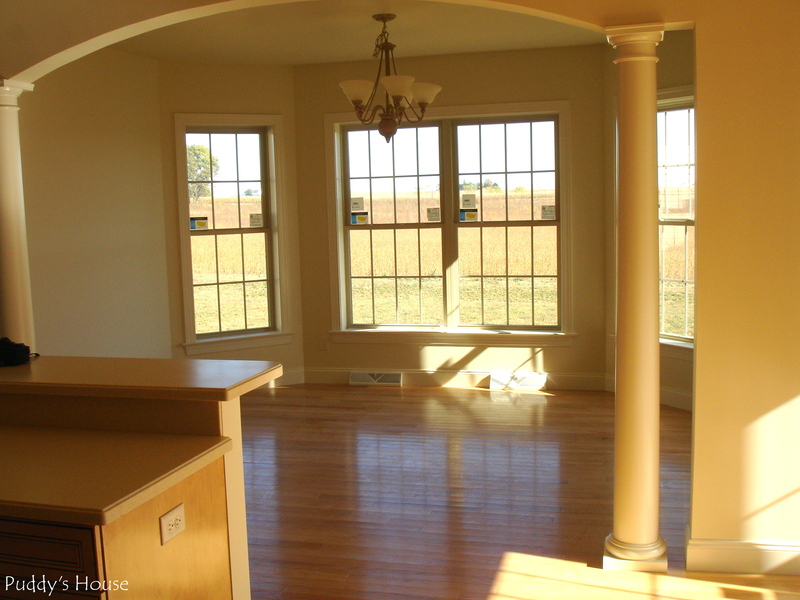 For now, here is another angle of the dining room. It’s nice to have the dining room pictured very true to how it is in real life. I’m excited for any upcoming events and holidays when I change up the décor in the dining room and get the opportunity to photograph it from other angles now. Anyone else use a Sony Cybershot? What other neat features do I need to try?